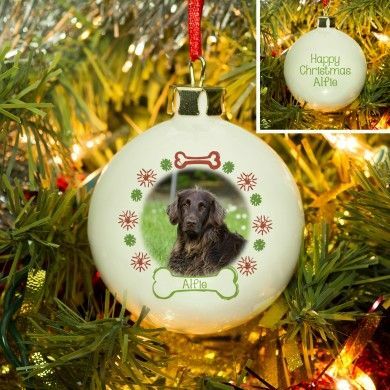 The magic of Christmas can always be treasured with this adorable bauble. 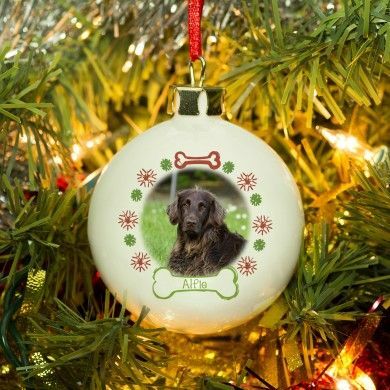 Simply choose your favourite photo of your pet to adorn the front surrounded by the personalised design finished with your unique message on the reverse. 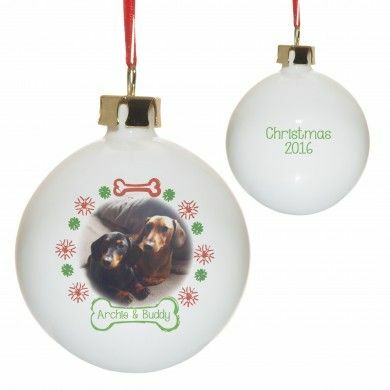 The ceramic bauble with gilt clasp is then finished with a festive red ribbon, ready to hang on the tree.